This expedition is no longer available to book for 2018. If you would like to arrange a bespoke expedition to Chad, please contact us for more information. 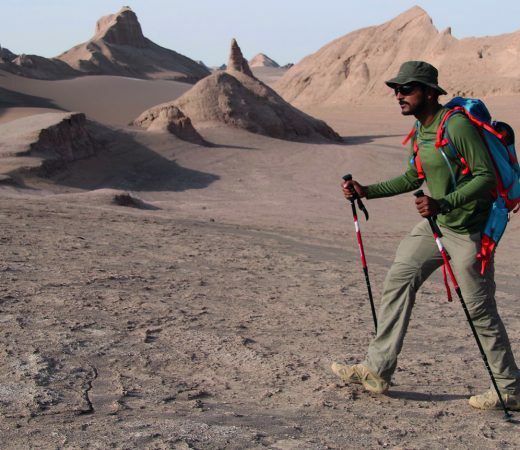 The aim of this epic expedition is to reach the southern part of Chad’s Tibesti massif and to trek to the summit of the Emi Koussi Volcano, the highest peak of the Sahara desert. 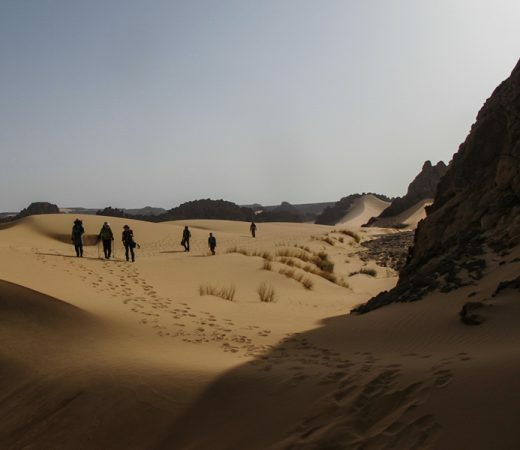 As a member of this unique expedition (supported by 4WD vehicles initially and then by camels) you’ll follow in the footsteps of explorer Wilfred Thesiger through an ever-changing landscape of oases, pre-historical sites, volcanic craters and sand dunes that is home to the ancient Toubou people. The Tibesti plateau (Tibesti meaning ‘place where the mountain people live’) is a mountainous region mainly in Northern Chad that also extends just into southern Libya. The area we will be travelling through is of volcanic origin and temperatures can be very high although this will be mitigated by the altitude and the winter months. Flora and fauna, including the rhim gazelle, Addax, Fennec fox and Barbary sheep have adapted to the mountains, their ancestors used to a climate that was not always as harsh. 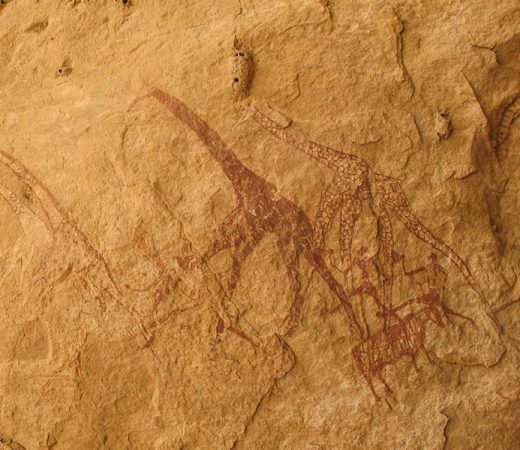 Greater biodiversity existed in the past, as evidenced by scenes portrayed in rock and parietal art found throughout the range, which dates back several millennia. The isolation of the Tibesti sparks the cultural imagination in both art and literature. The Toubou are an ancient tribe of people. They live mainly in northern Chad but are also found in southern Libya, northwest Sudan and northeast Niger. The majority of the 350,000 Toubou are concentrated around the Tibesti mountains region; they are semi-nomadic moderate Muslims and animal herders. Toubou society is clan-based with each clan ‘owning’ a certain amount of oases, pastures and wells. The two main clans are the Teda and the Daza. Your camel support team will be made of Teda clan members. Reaching 3445m in elevation and rising 2300m above the surrounding sandstone plains, Emi Koussi is one of several shield volcanoes in the Tibesti massif and is the highest in the Sahara. The summit includes three craters formed by powerful eruptions in which can be found numerous lava domes, cinder cones and lava flows. 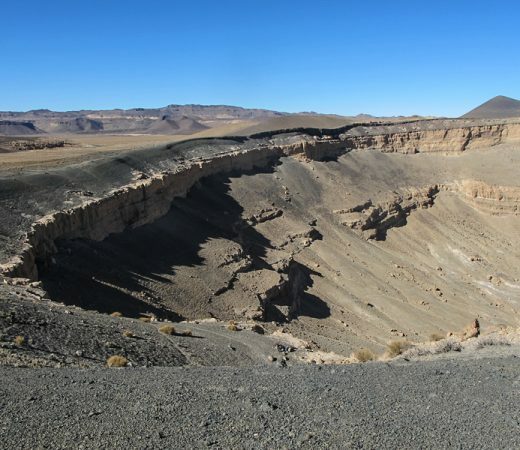 Its main crater is 12km wide and 1.2km deep and the volcano’s dark volcanic rock provide a sharp contrast to the surrounding light sandstone. Secret Compass runs expeditions with framework itineraries, rather than guided tours with set daily plans. Read more about Our Approach here. The following is the outline plan for this epic Chad expedition – the ‘substance’ rather than the specifics. A fuller itinerary is provided in the Chad Expedition Handbook which is available on request or upon application to join the team. All teammates fly into N’Djamena and meet at the team at a central hotel by 2200hrs on 4 Feb for a welcome meal. A briefing on the upcoming expedition will take place post breakfast the following day before meeting the guides and vehicles and taking care of some permit paperwork prior to beginning your journey north. This expedition begins with a five-day drive across the ever-changing desert on 4WD vehicles, to cover the distance to get to the trail head at the Tibesti plateau. Leaving from the capital N’Djamena you’ll head north, skirting the depression of the Bahr el Ghazal (the sea of gazelles, a former affluent river of ancient Chad). You’ll then tackle the dunes of the Erg of Djourab, the main obstacle for the commercial trades between Faya and the capital city. Among the palm groves of Faya-Largeau you’ll need to negotiate your camels and cameleers with the local Toubou tribe exactly as Thesiger did over 60 years ago. Your first two days of trekking will be supported by 4WD vehicles. This will enable exploration of the rich sand dunes and rock outcrops (tassilis) of the Ourti valley at the foot of Emi Koussi. You’ll discover isolated nomadic encampments and be able to explore prehistoric rock engravings and paintings. 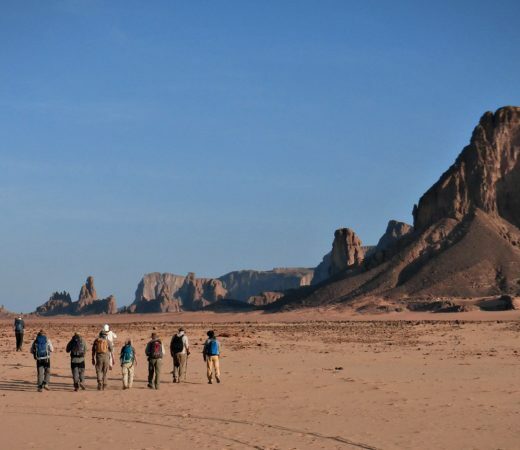 From the tiny settlement of Tigui you’ll head off on a seven-day camel supported trek with your Toubou guides, through scenic ‘gueltas’ to climb to the summit of Emi Koussi, the highest peak in the Sahara. 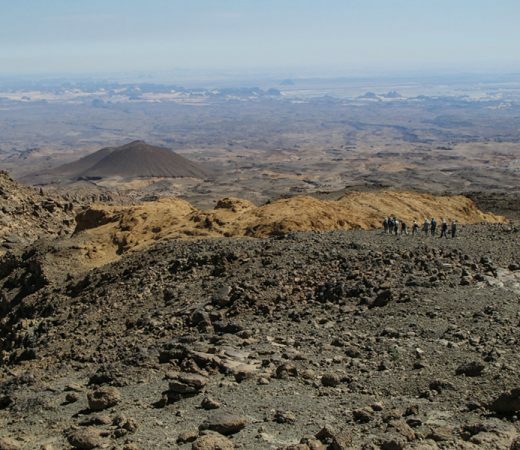 From the enormous (12x15km) volcanic caldera you’ll get exceptional views across the whole of the Tibesti massif. 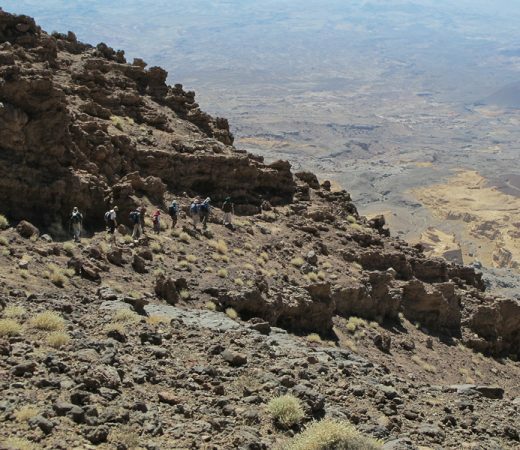 Crossing the caldera you’ll explore the ‘petit trou au natron’ before reaching the highest point of Emi Koussi at 3445m. From the summit you’ll descend through the gorges of Yi Yerra and the revitalising waters of the thermal springs found there. You can soothe your aching muscles before rejoining your 4WD vehicles and drivers for a visit to the Gouro oasis on the return to N’Djamena. Secret Compass expeditions are achievable by anyone with a healthy lifestyle and a good level of general fitness. You should be willing to be part of a team working together to achieve the goal of the expedition. The biggest challenge on this expedition will be the the hot climate. Teammates who arrive without meeting the agreed minimum fitness requirements can jeopardise themselves and the expedition’s goal so do take training seriously and arrive fit and ready to go. 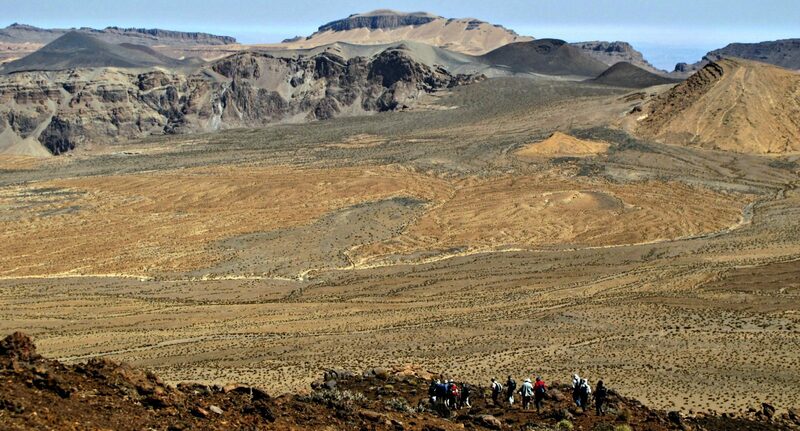 Trek: up to 25km per day across rocky, sandy terrain. Your first night will be in a comfortable hotel in N’Djamena. During the five-day drive to the Tibesti region you will be sleeping in tents. Every night on the trek, you will sleep under the stars. Each teammate will clean away the obvious stones and make a slight dip in the sand to help direct the winds over them. All your food on this expedition will be sourced in country. In towns you’ll eat in local restaurants and cafés. On the expedition you’ll have an Italian style cook so expect delicious and nourishing food. You may wish to bring your own snacks to supplement the food provided. You’ll be driven to and from the trailhead in 4WDs. You should be aware that due to the remote location of the Tibesti massif, this entails an approximately five-day drive in each direction. 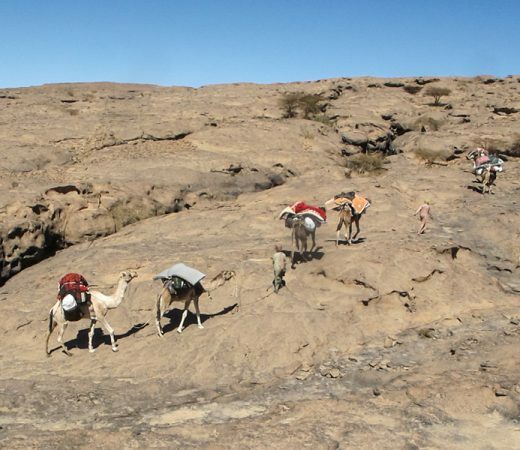 The trekking element of the journey will then be on foot, supported by either camels or 4WD vehicles. The vehicles will carry food and water supplies along with the camping equipment and will meet the team in camp each night. A full kit list will be supplied to applicants in the Expedition Handbook. If required Secret Compass will supply tents. Teammates should consider their kit in good time in case buying, hiring or shipping is required. Read your Handbook and factor into your packing (and training schedule) any additional space or weight as necessary. For this expedition, appropriate desert boots that are broken in and comfortable are of paramount importance. Ongoing foot care on expedition will be vital. As a Secret Compass team member you get discounts at a number of specialist stores, the details of which are provided upon booking. The Get Ready section clarifies what you need to consider in advance of departure. It has advice on things like fitness, flights, insurance and kit. Special permits and permissions within Chad. International flights/ travel to and from Chad. As The Plan outlines, there is a chain of transport to get teammates out to and back from the trailhead and so start and end dates are not flexible. Vegetarians and coeliacs can be catered for. Feel free to supplement the meals provided with your favourite trail snacks. Give as much details as possible when applying to help us best provision the team. See our Fitness section in Get Ready and the Fitness above for expedition-specific fitness advice. 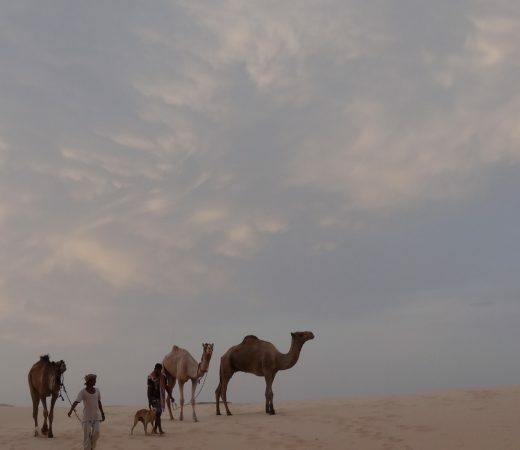 The team will be supported by 4WD vehicles and camels in the desert. Each team member will have to carry at least three litres of water per person per day, lunch supplies, personal kit (suncream, camera etc) and a share of the group emergency and communications kit. Apply for this expedition team using the button below to receive your Expedition Handbook with fuller details. View our General FAQ for useful tips. Secret Compass is then on hand to answer any questions or to firm up your place on the team.